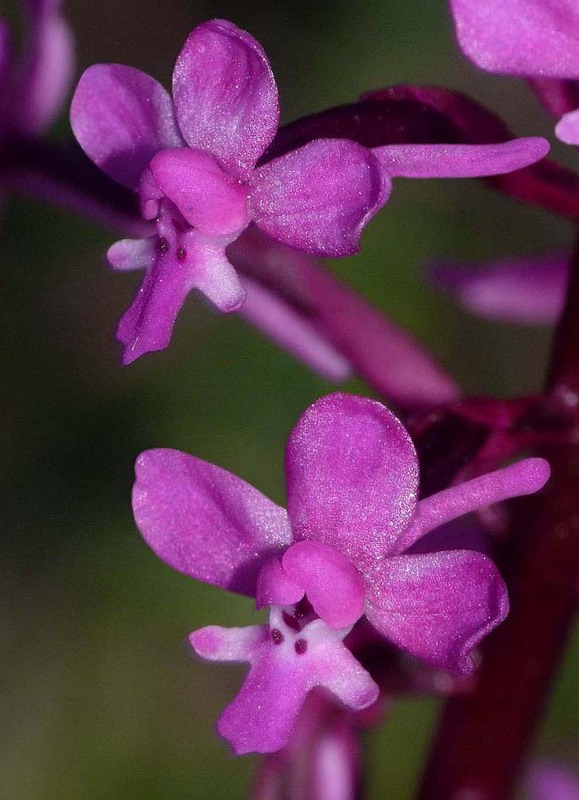 O. brancifortii is an orchid endemic to the islands of Sicily and Sardinia and was named after Prince Brancifortii, the sponsor and protector of Antonina Bivona-Bernardi, a well known Sicilian botanist of the early nineteenth century and the man who first described this species in 1813. 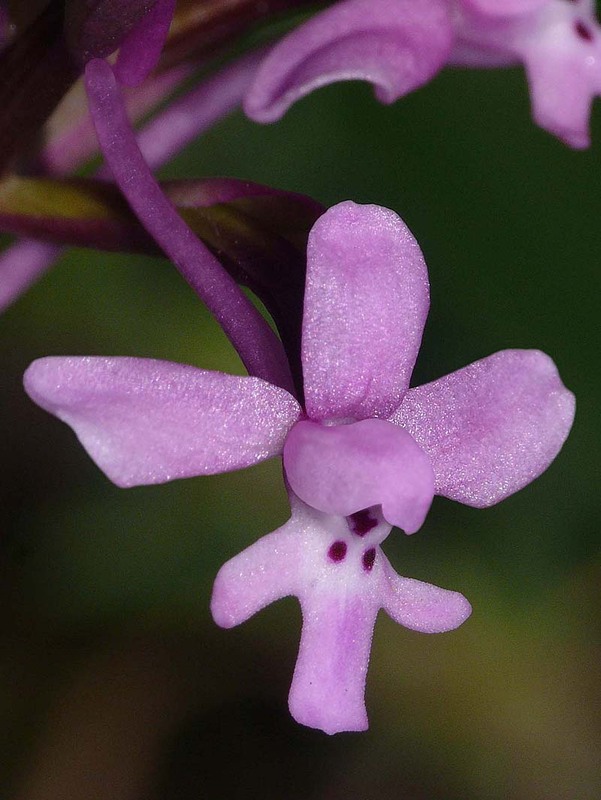 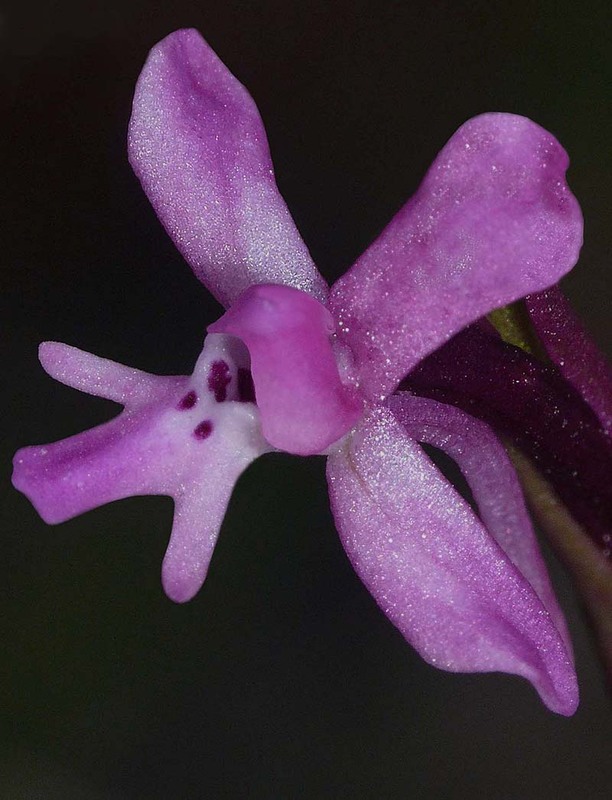 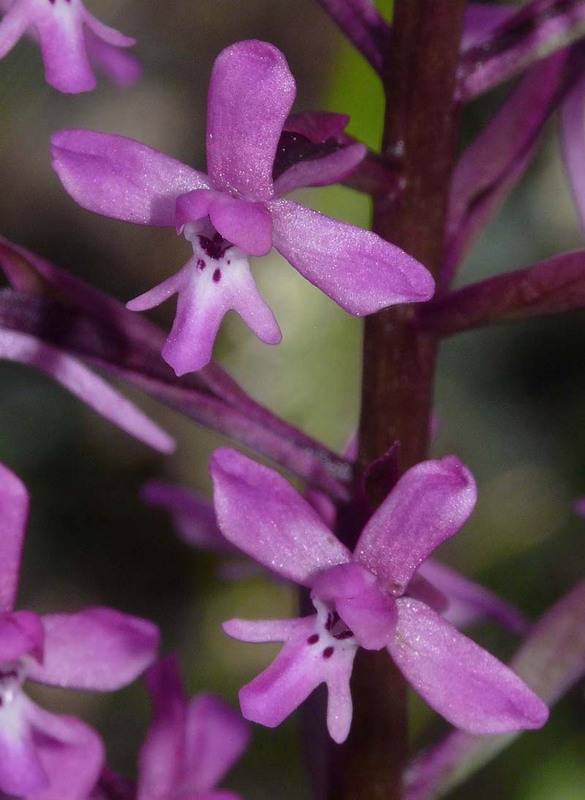 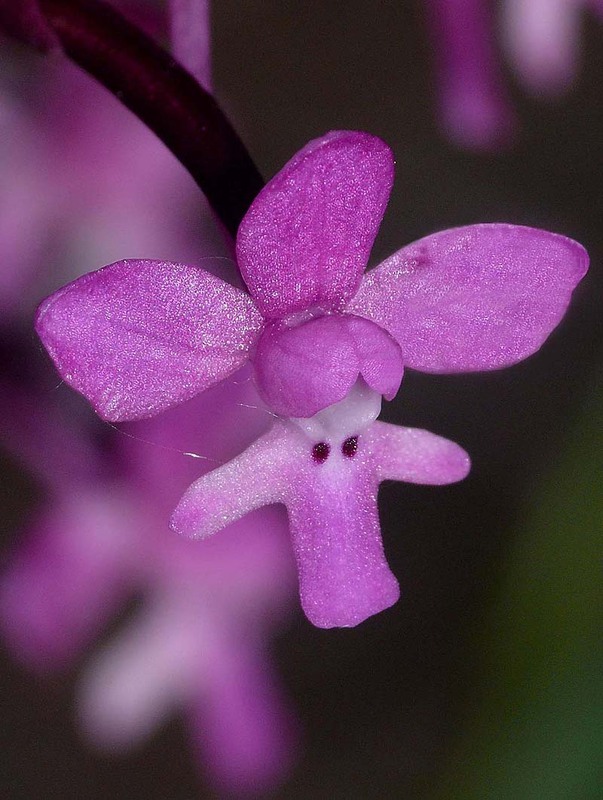 It is a member of the O. mascula group of Orchis, being very similar to the closely related O. quadripunctata. 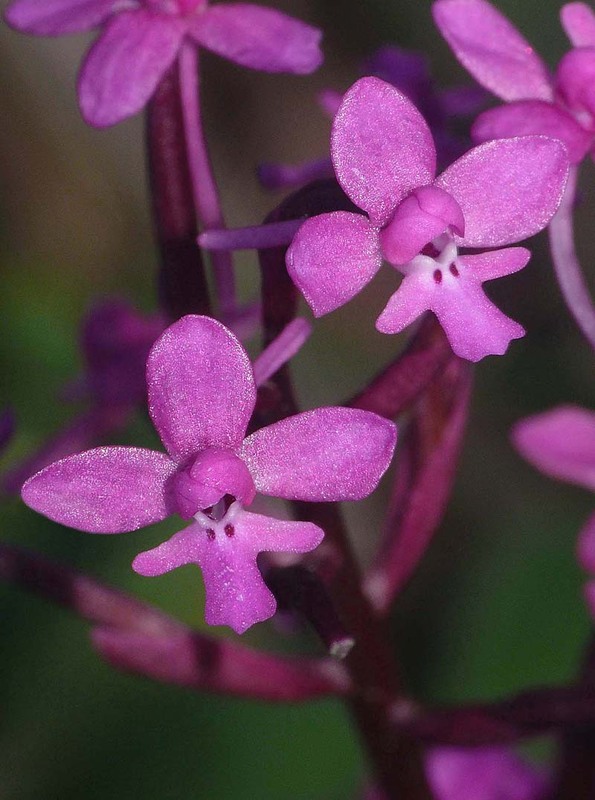 It's not a particularly variable orchid, its colour is equally consistent, ranging from pale lilac to mid crimson, though white forms are occasionally encountered. 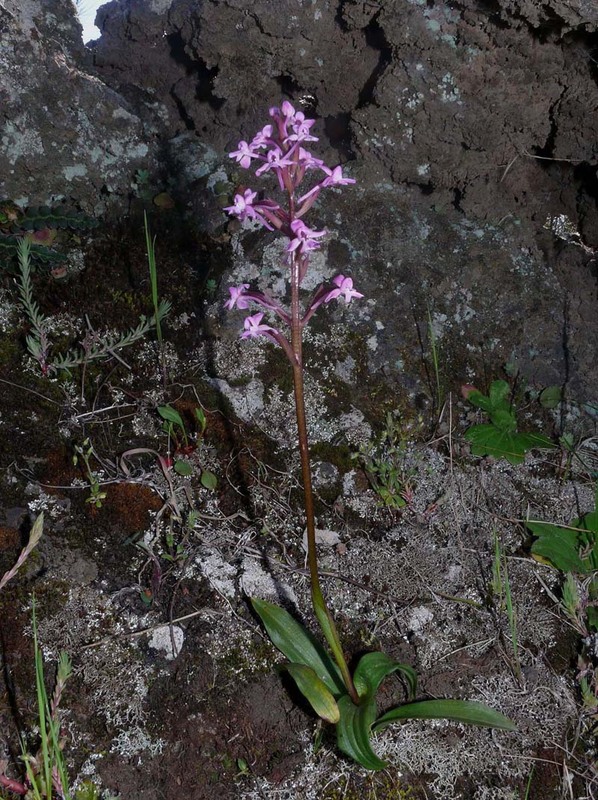 O. brancifortii favours calcareous soils and rocky positions in full sun, these conditions being perfectly provided in the Sicilian lava fields on the southern slopes of Mount Etna, where the species can be found growing in large but loose colonies among the lower level, weathered, igneous rock formations. 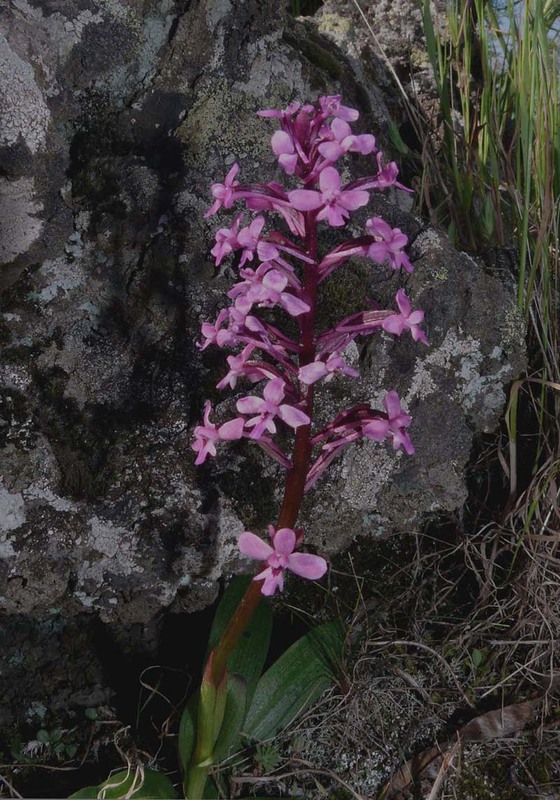 This species shows a tolerance for newly formed lava flows, a habitat choice it shares with the newly described O. grassoana. 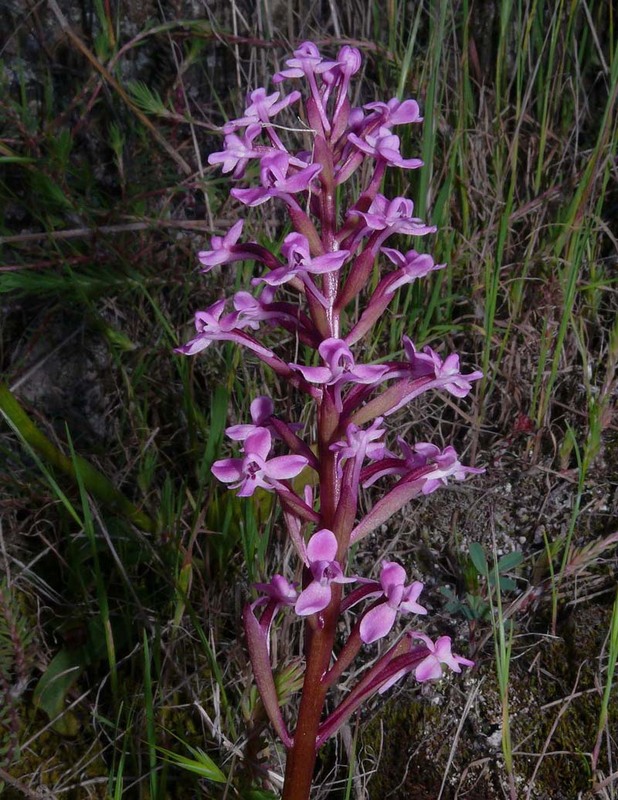 This Orchis is by no means common either in Sardinia or Sicily and can take a lot of finding, although once found is not easily confused with any other species. 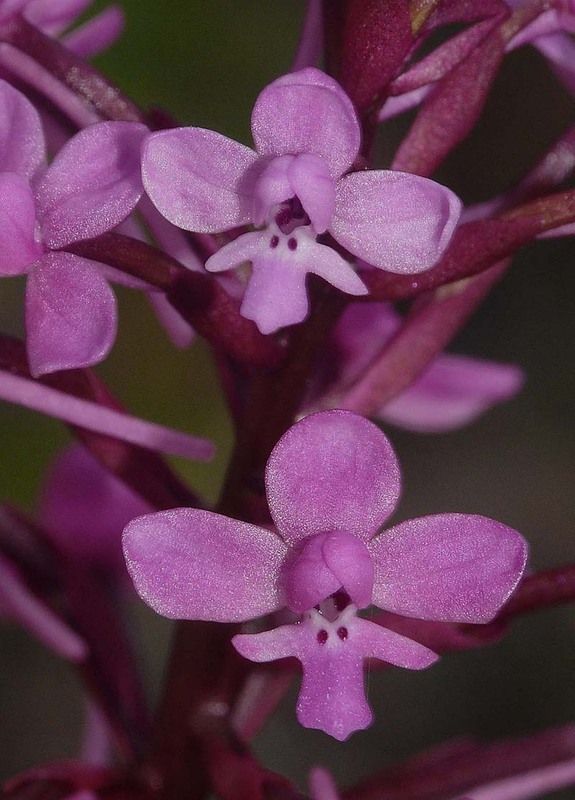 It show little propensity for hybridization albeit that in the locations where the authors have found it, there have been very few other orchid species growing nearby and opportunities were therefore clearly limited. 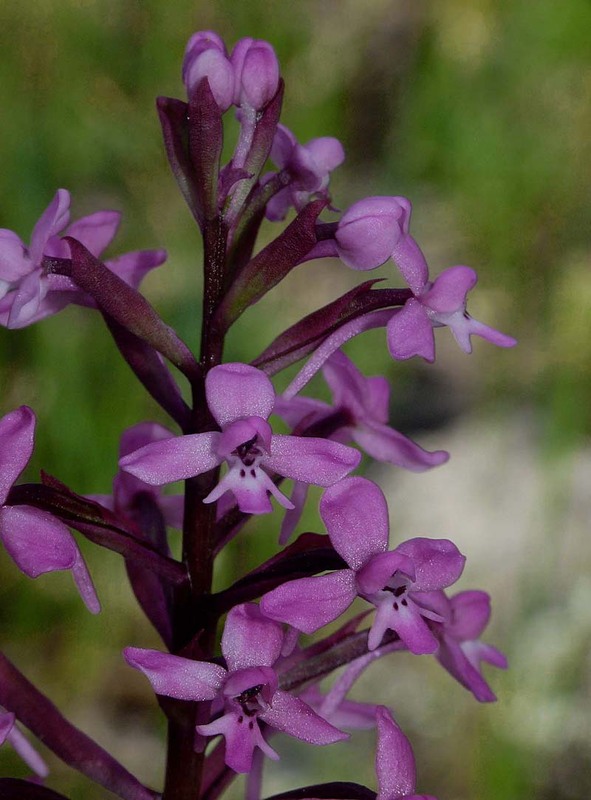 It can be a tall plant (up to 30cms) and older established tubers may produce multiple flowering stems that form highly attractive clumps. 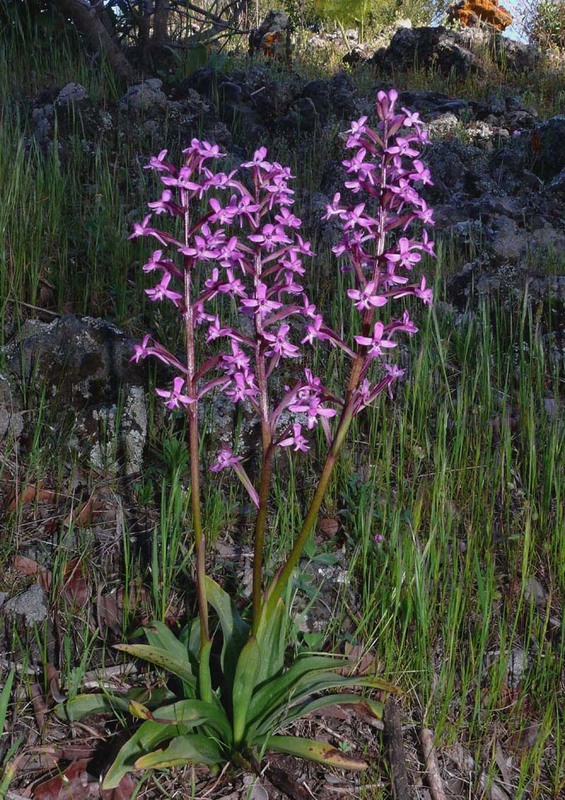 It may equally grow as a small single stem, often in some highly inhospitable positions, projecting from the fissures of rocks or cliff ledges. 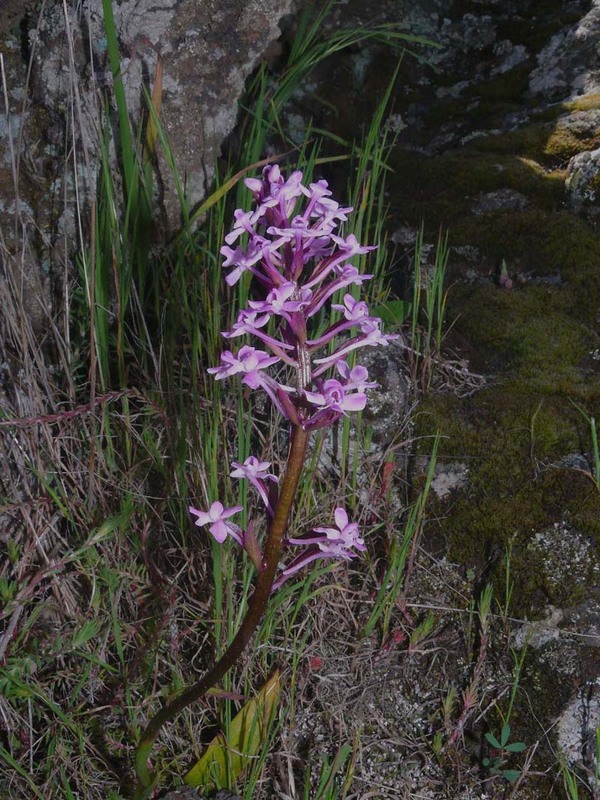 The photographs are all from the Ragalna area of southern Sicily and date from the second week of April.